Car shopping in the White Bear Lake area? Look no further than the new vehicle inventory at Porsche St. Paul. We have a wide variety of models in stock, from the popular Porsche Cayenne to the fan favorite Macan. Our sales team is standing by to get you behind the wheel of the model that best suits your budget and driving needs, and we always have rotating vehicle specials to make the car-buying process that much less stressful. 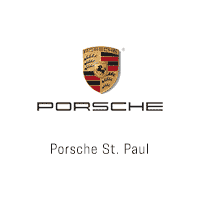 When you’re ready to upgrade your drive to your favorite Maplewood restaurant, go ahead and visit Porsche St. Paul. Here, you’ll have the opportunity to pursue the 42 new Porsche models for sale in Maplewood, MN! Calculate your estimated monthly loan payments here, and then contact us today. LEASE FOR $975/MONTH! 39 month lease, 5,000 miles per year. $4,000 due at signing plus $995 acquisition fee, tax, title, and license fees extra. On approved credit through Porsche Financial Services. Based on an MSRP of $88,320. Includes dealer contribution of $3,085. Lease end residual $52,339.80. No security deposit required. At lease end, lessee pays excess wear, $0.30 per mile for each mile over 16,250 miles and $350 disposition fee. Must take delivery by April 30, 2019. For more information or a custom lease quote on this new unit, visit us at stpaul.porschedealer.com or call us at 612-225-0225. Text/Chat available on our dealer website. 2019 Porsche Cayenne For more information or a custom lease quote on this new unit, visit us at stpaul.porschedealer.com or call us at 612-225-0225. Text/Chat available on our dealer website. 2019 Porsche Cayenne S For more information or a custom lease quote on this new unit, visit us at stpaul.porschedealer.com or call us at 612-225-0225. Text/Chat available on our dealer website. 2019 Porsche 911 Carrera 4S For more information or a custom lease quote on this new unit, visit us at stpaul.porschedealer.com or call us at 612-225-0225. Text/Chat available on our dealer website. 2018 Porsche Macan For more information or a custom lease quote on this new unit, visit us at stpaul.porschedealer.com or call us at 612-225-0225. Text/Chat available on our dealer website. 2019 Porsche 911 Carrera S ABS brakes, DVD-Audio, Electronic Stability Control, Front dual zone A/C, Heated door mirrors, Illuminated entry, Low tire pressure warning, Navigation System, Porsche Communication Management, Remote keyless entry, Traction control. For more information or a custom lease quote on this new unit, visit us at stpaul.porschedealer.com or call us at 612-225-0225. Text/Chat available on our dealer website. 2018 Porsche Macan Sport Edition ABS brakes, Alloy wheels, DVD-Audio, Electronic Stability Control, Front & Rear Heated Seats, Front dual zone A/C, Heated door mirrors, Heated front seats, Heated rear seats, Illuminated entry, Low tire pressure warning, Navigation System, Porsche Communication Management, Power Liftgate, Power moonroof, Remote keyless entry, Traction control. For more information or a custom lease quote on this new unit, visit us at stpaul.porschedealer.com or call us at 612-225-0225. Text/Chat available on our dealer website. 2018 Porsche Macan Sport Edition For more information or a custom lease quote on this new unit, visit us at stpaul.porschedealer.com or call us at 612-225-0225. Text/Chat available on our dealer website. 2018 Porsche Macan ABS brakes, Alloy wheels, DVD-Audio, Electronic Stability Control, Front dual zone A/C, Heated door mirrors, Illuminated entry, Low tire pressure warning, Porsche Communication Management, Power Liftgate, Remote keyless entry, Traction control. For more information or a custom lease quote on this new unit, visit us at stpaul.porschedealer.com or call us at 612-225-0225. Text/Chat available on our dealer website. 2019 Porsche 911 Carrera S For more information or a custom lease quote on this new unit, visit us at stpaul.porschedealer.com or call us at 612-225-0225. Text/Chat available on our dealer website. Why Choose Porsche St. Paul? At Porsche St. Paul in Maplewood, MN, we’re proud of our sports car heritage. After all, Porsche vehicles sport the iconic badge for a reason, and our friendly staff of Porsche professionals are committed to upholding this legendary tradition. So, whether you’re looking for your favorite Porsche model or you’re looking for routine service on your luxury vehicle, we are here to help you out. Questions? Contact us today.